Friday, February 23rd – 5:00pm to 9:00pm at The Baja BBQ Shack. 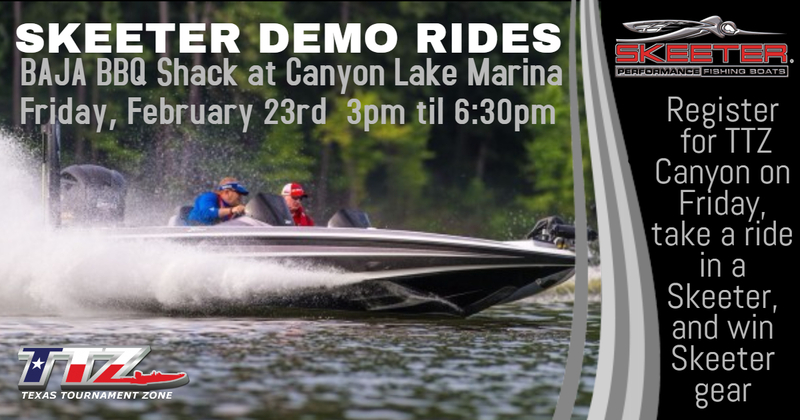 There will be Skeeter Demo rides at Baja BBQ Friday afternoon from 3pm-6:30pm. Come take a ride for a chance to win some prizes!!! 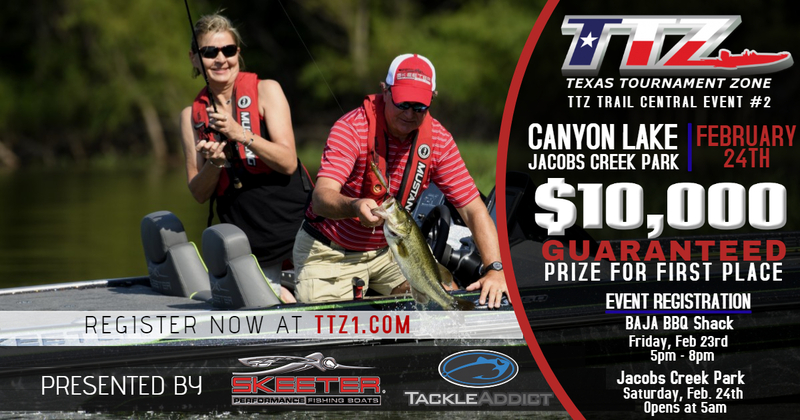 Last edited by Texas Tournament Zone; 02/08/18 12:29 AM.